Dr. Bondi is the author of Foundations of Software and System Performance Engineering: Process, Performance Modeling, Requirements, Testing, Scalability, and Practice, published by Addison Wesley in 2014. 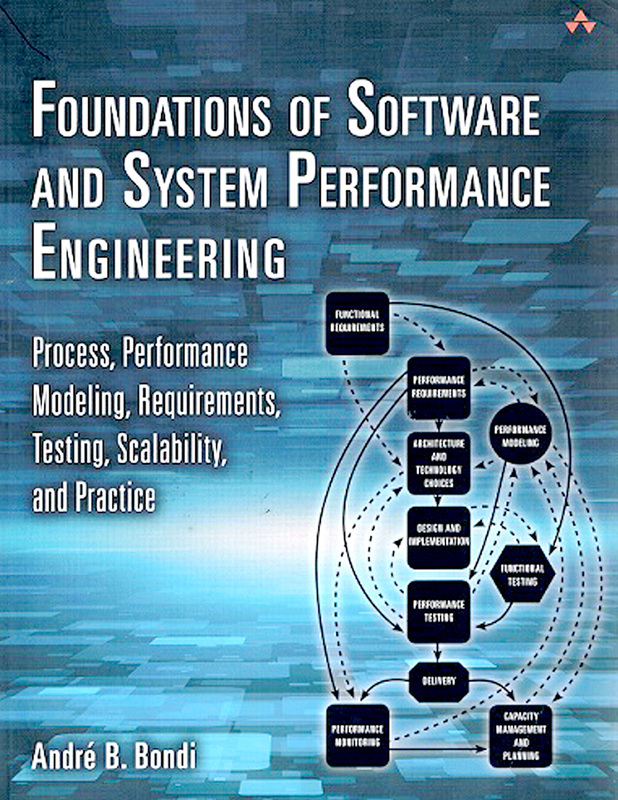 In this book, we show how to increase the likelihood of building a system that meets performance needs by integrating performance engineering methods into the entire software life cycle. We show how to define meaningful performance metrics and create effective performance requirements from the outset. The system can then be architected, developed, tested, and delivered to meet them. We show how to define and use performance metrics; plan for diverse workloads; evaluate scalability, capacity, and responsiveness; and test both individual components and entire systems. ​The book can be purchased here. Obtain corrected figures by clicking on Updates here. The preface to the book can be found here.